This week marks the first in a series fitness, nutrition, and relaxation tips I'll be sharing to help get your wellness program started or maybe to add a little spark to your usual routine. I will provide an exercise, a healthy recipe or meal idea, or a relaxation technique. Together we will begin to add each of these ideas together. Over the weeks, as we continue to perfect each exercise, change the way we eat, and incorporate some well deserved R&R, we will begin to form habits that are likely to change the way we feel and the way we look. Who knows, maybe your family will clue into what you’re doing and follow in your healthy living footsteps. Get down and give me 20 or just one, give me one!! When babies reach a certain age (somewhere between 4 and 8 months- depends on the child) the first physical activity they do is a push up. Have you ever noticed? It is the sweetest thing to see them trying to balance that big ol’ head and push up with their tiny little arms. But they persist and eventually they go from belly to knees. Well we, as adults, need to mimic this determination and persistence that babies intuitively show off right from the start. This week’s exercise is the infamous Push Up. The push up is one of the most effective exercises because you have to engage many muscles just to hold the proper form. 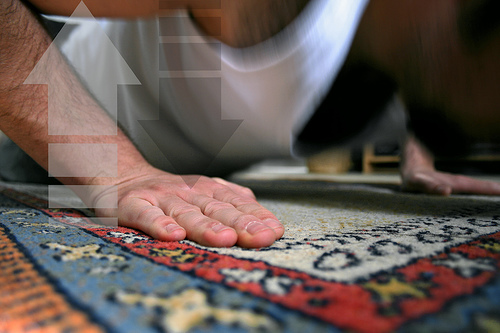 Push ups test your cardiovascular and muscular endurance as well as your level of fitness. Having been in the US Marines I know all too well the meaning behind ‘get down and give me 20,’ it was never really 20 because we had to do 4 count push ups so we were push up 40 times. If you really want to challenge yourself, give it a shot… count down 1- up 2- down 3- up 4 – that’s your first push up. Ouch!!! However, one must first start at the beginning to avoid injury and work your way up to a full push up. I remember thinking I would never leave the traditional girly push up because, after all, I am a girl and so why not stay where I'm comfortable. After joining the military I realized that wasn't going to cut it for my Drill Instructors so my knees left the floor, quickly. However, to get yourself started set a goal, start with the “girly push up” and work your way up to real push ups. Better yet, start with full push ups, do a few, as many as you can, then drop the knees and continue your workout. Another, excellent, idea to help conquer these failing push ups is one I read about at The One Push Up Challenge. Yes that's right, one push up challenge. Go check it out, it's actually a great idea and if you do your one "whatever" you wont ever feel like a failure because the goal was to do one and you did it, however, if you do more than one you'll feel like an overachiever and there's nothing wrong with that. I'm really warming up to this idea. The best about using push ups as your on-the-go workout is that you need zero equipment, you don't even need special clothing, so no excuses. I hope you'll join in the fun of this little challenge. Start with one and see where that takes you. Share your goals, ideas, comments and questions...right here, right now! !